One day after blazoning a successful collaboration with Nokia to test their prototype 5G devices with Nokia’s AirScale base station, Qualcomm announced a partnership with HMD Global, HTC and 17 other smartphone manufacturers to bring 5G on mobile devices starting next year. “Qualcomm Technologies is deeply committed to helping our customers deliver next-generation 5G mobile experiences to consumers, which requires enhanced mobile broadband 5G NR connectivity enabled by 5G NR networks, mobile devices and the Snapdragon X50 5G modem,” said Alex Katouzian, senior vice president and general manager, mobile, Qualcomm Technologies, Inc.
Qualcomm intends to bring their next-generation Snapdragon™ X50 family of 5G modems to market to initiate a global implementation of 5G mobile networks. This move was also backed by 18 global telecom leaders, which alongside the 19 smartphone manufacturers also signed a partnership with Qualcomm. 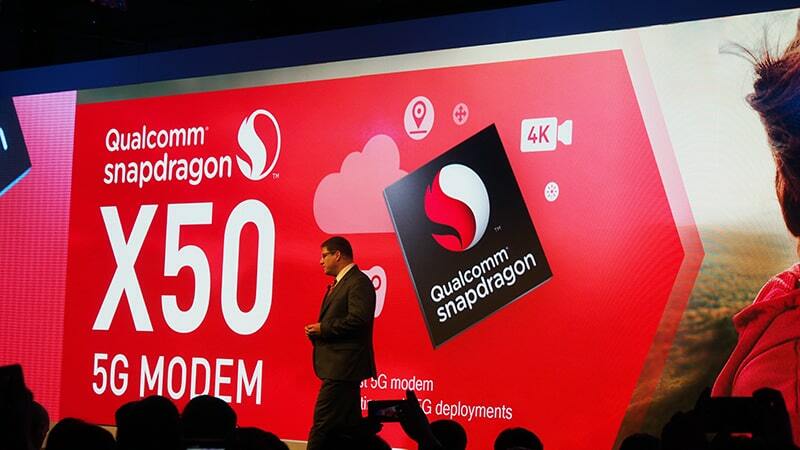 Qualcomm’s Snapdragon™ X50 5G modem, originally announced in 2016, promises to deliver up to 5Gbps download speeds with only 1-2 millisecond latency. The modem will also support both 4G and 5G connections simultaneously to guarantee its reliability whilst 5G network infrastructures are being deployed. Qualcomm also plans to demonstrate the Snapdragon™ X50 at the upcoming Mobile World Congress in Barcelona to showcase 5G’s multiple Gbps downloads, new applications, enhanced user experiences, and 5G interoperability. “2018 will be a big year for Qualcomm Technologies and the mobile industry overall as we work to execute on the agreed upon 5G NR specification,” said Qualcomm president Cristiano Amon. It is unknown if 5G is coming on Nokia devices next year, but Sarvikas said that HMD Global is in “close relationship” with Qualcomm Technologies to deliver a richer smartphone experiences to their consumers. “Nokia phones have always been at the forefront of innovation when it comes to mobility. 5G will be the catalyst for the introduction of innovative data devices and services in the coming years. It will completely change the kind of experiences consumers would expect from their devices,” said Juho Sarvikas, chief product officer for HMD Global. HTC, on the other hand, said that 5G will not just enable great mobile experience but will also allow the “conversion of mobility with VR, AR, and many other immersive technologies”. “HTC and Qualcomm Technologies share a long history of innovation together, including the first 4G smartphone ever released, and we’re excited to continue this close relationship with 5G and beyond,” said Adrian Tung, senior vice president for HTC.